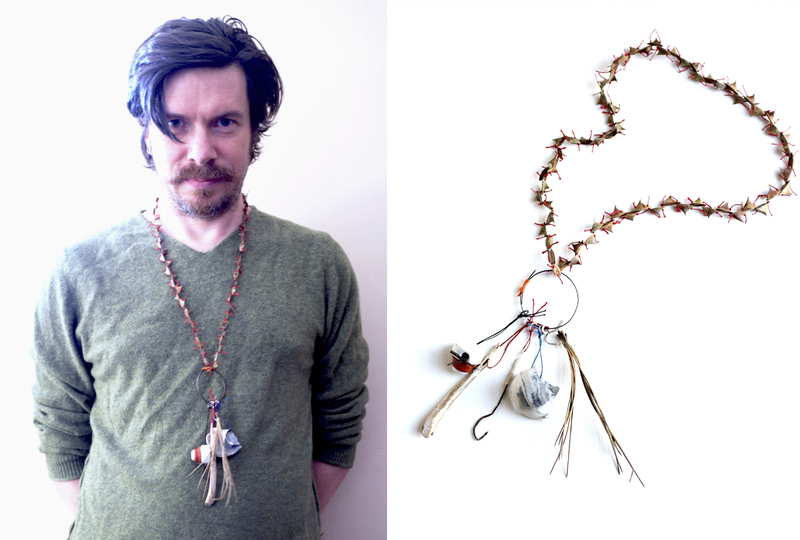 Title: ‘You Carry It With You’ (Conceptual Necklace). Materials: Rose thorns, linen thread, found shell, found bone, found steel, silver, found ceramic Belfast beer bottle stop and found pine needles. Home is a collection of places, a set of familiar landscapes rather than a series of rooms. It is not always a comfortable place to be. I gathered materials from the places I spend my time- from a beach, the garden, the woods and the streets of Belfast- the materials embody and reflect these spaces I call “Home”.